The members of the Editorial Team are either employees of Health Union, the parent company of RheumatoidArthritis.net, or professional medical writers who are contracted to work for Health Union. Often times we collaborate on articles for the site that may cover a broad range of topics from news articles, reports from our In America surveys, or a summary of feedback that we’ve gathered from our community members. We also will occasionally cover news-worthy items, updates on research, and other topics that are important to the Rheumatoid Arthritis community. What is a Pain Management Specialist? Should I See One? 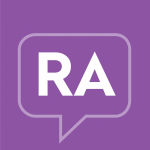 RheumatoidArthritis.net Community now on Instagram! How’s Your Relationship with Your Doctor? Take our Survey! What Would Your Current Self Say to Your Newly Diagnosed Self? Precision Medicine: The Next Big Thing to Treat RA?